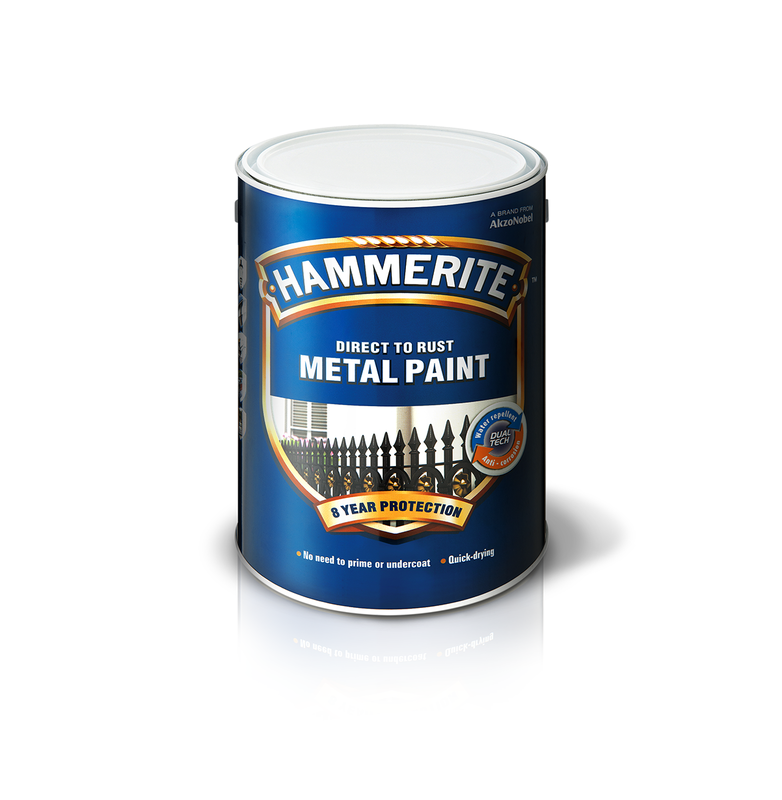 Hammerite paint is a single pack, air drying corrosion resistant and decorative coating. It is based on synthetic resins and is suitably pigmented for optimum weathering properties. Hammerite is fast drying and capable of multi-coat application any time after 4 hours. The specially selected resins impart a gloss or satin finish which multi-coat application any time after 4 hours. The specially selected resins impart a gloss or satin finish which resists dirt pick up. Hammerite has excellent wetting properties making it tolerant to poorly prepared ferrous surfaces.